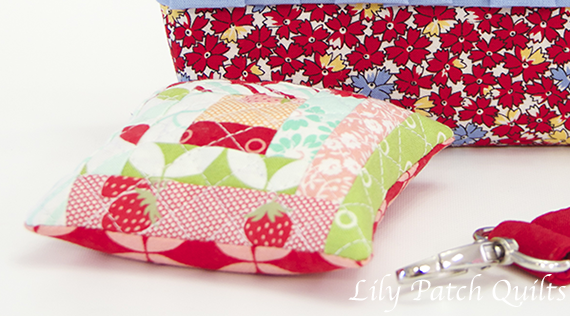 I love making pouches and accessories. This was for my swap partner. I also included small treats that I forgot to take a picture of. I made three of these pincushions, one was for me to keep and two were for swaps I joined. 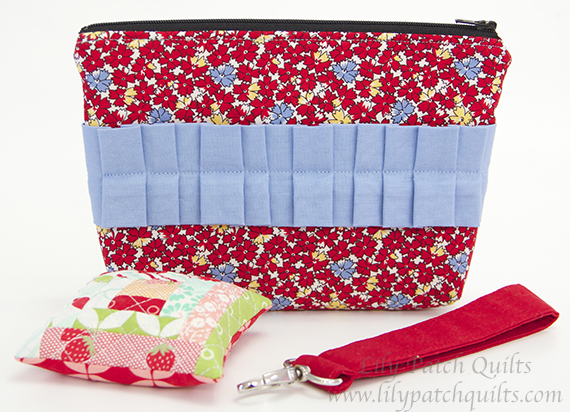 This zippered pouch was fun to put together with the ruffles. I love ruffles. They add a fun touch to bags and accessories. I also made a key fob with some small strips of fabric I had left over from other projects. This was a lot of florals but my partner says she loves floral prints. This was a lot of sewing for me but I am so glad to have a chance to sit down and sew. I hope you are having fun sewing and shopping this Christmas season. There is nothing like a handmade Christmas. Your partner should love her package! More adorable gifts. You have been busy!